On Thursday I baked a quiche and overfilled the crust. The filling spilled out onto the bottom of the oven, burned, filled the house with smoke, and caused the detector to go off. I was left with a half-baked creation and nothing else to eat for dinner. Solution? Scrambled quiche, crust and all. It was... interesting. The next day HP pulled off his diaper (that admittedly was not on very well since he lately he equates diaper changes to torture and will not lay on his back for more than two seconds at a time) and peed on the floor. Fifteen minutes after the pee-on-the-floor incident we locked ourselves out of the house while getting the mail. Yesterday we were on the bus and I was letting HP grab a seemingly innocuous metal hook. A minute later he set off an alarm. Whoops. HP seemed neutral toward biking. He did not cry, but he wasn't smiling either. He had a very serious, intent look on his face the whole time. It's a lot to take in! In retrospect, the downtown venture was probably a little adventurous for our second trip out, but he was a trooper. Better get used to it kid, you'll be spending a lot of time in your seat in the months to come. So much stuff raining down on you, friend! Especially the locking yourself out - crazy. 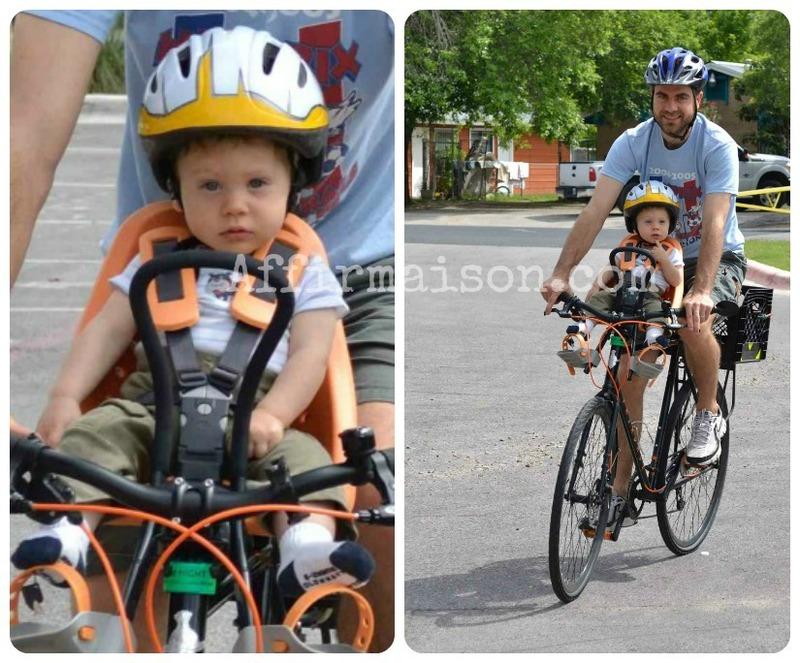 Here's hoping you get more family bike rides and less chaos coming up.